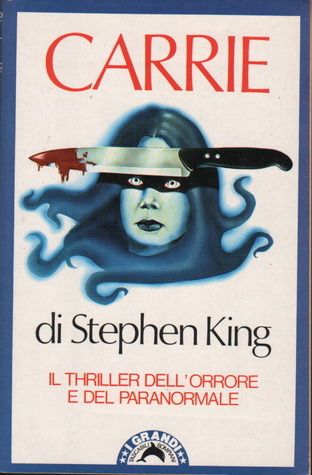 Title/Author: Carrie by Stephen King. Favorite character: Tommy and Sue. All in all: Strong, classic horror novel. Synopsis: Stephen King's legendary debut, about a teenage outcast and the revenge she enacts on her classmates. 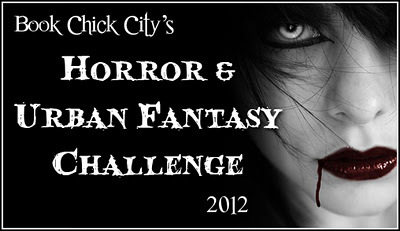 My Thoughts: The story of Carrie is an icon, an urban legend as well known as Bloody Mary and the Ghostly Hitchhiker. I don't think I even needed to include the synopsis. 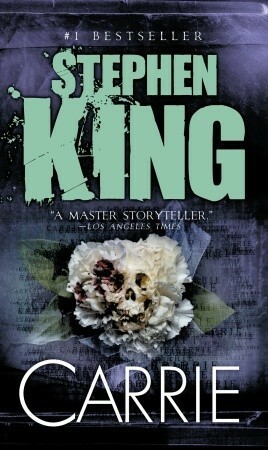 Perhaps this is why I had never read it until I co-hosted the Stephen King Read-A-Long with Midnight Book Girl. I knew the story, saw the movie(s), heard the tale from friends, but I didn't know the full story until I read it. This was King's first published novel, rescued from the trash by his wife Tabatha. It's raw when compared with his later work, but a great story with complex characters that are relatable, a plot that moves and twists. What surprised me is that it is the story of Sue as much as Carrie. The two mirror each other. Sue is popular and has it easy. Carrie is the misfit that everyone picks on. They both have revelations. Sue realizes she is on a trite path, "Suzy Creamcheese" she calls herself in a moment of self loathing, which leads her to pursue an altruistic act. Carrie comes into her power with her Telekinesis. She realizes that she can protect herself if she chooses. The reader realizes that there is more to both young women than meets the eye. The book is filled with news reports, court testimony, published papers and journalist's analysis as well as an omniscient viewpoint of a few characters to tell about the events. However, instead of being confusing, this moves the story along at an incredible trajectory and creates tension, drama and insight. I thought it interesting how there are different camps to the story. Some feel that the Telekenesis a fabrication, that Sue and Tommy orchestrated Carrie's ultimate humilation, that Telekenesis must be studied further, that Telekenisis must be hidden. I also remember that during the World Horror Convention one of the speakers stated that Carrie started in blood and ended in blood, and I was curious to discover the symbolism for myself. When Carrie starts menstruating, that is when her powers gain strength or perhaps they have bubbled over the surface. This is the beginning of the end for her soul, according to her evangelical, abusive, insane mother. My only complaint and King does this frequently, is the asides, the "...the time whens..." While it adds to the dimension of the character and their actions, I don't always feel they are necessary and sometimes take me out of the story. 1. Carrie Read-A-Long Part One: Blood Sports. 2. Carrie Read-A-Long Part Two: Prom Night. 3. Carrie Read-A-Long Part Three: Wreckage. 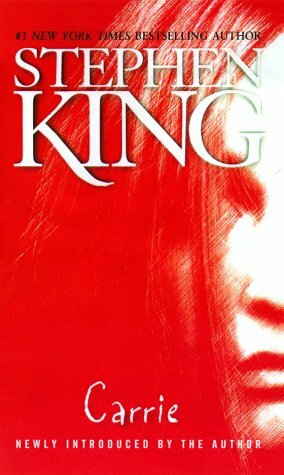 It just wouldn't be October without books from the King..I liked the raw feel of this novel and the movie made it iconic. I re-read The Shining this month, mainly because I am so freakin excited about the second book Doctor Sleep coming in 2013 and wanted to refresh my memory about Danny. Great review, Pam! A couple of those covers are strange! I watched the movie long before I read the novel, and I thought it portrayed Sue fairly accurately... I think, then again, it's been years now since I've seen the original movie! 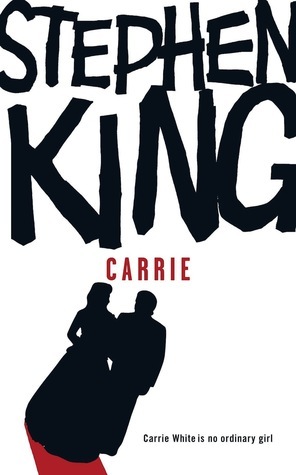 I think if King were to re-write the book today there'd be a lot more of the town scene, more of the bullying that Carrie must endure, and perhaps we would get more of the White Commission's report! I have only seen the movie version of Carrie. but I bet it's great reading it. Thank goodness his wife rescued Carrie from the trash! That's a pivotal moment right there. I'm so glad you guys did the readalong. It was fun reading it along with you guys. I have read the book but the movie is the one that sealed the deal that I can't watch those kind of movies at all. I swear I had nightmares for a month and decided (I think was 15) that I would never, ever go to Prom! I bought this for the readalong but haven't had a chance to read it yet. I seriously have to! This is one of my favorites by King. It wasn't even the first I read by him. It took that title, I'm still terrified of clowns from that one lol. Love your King post!